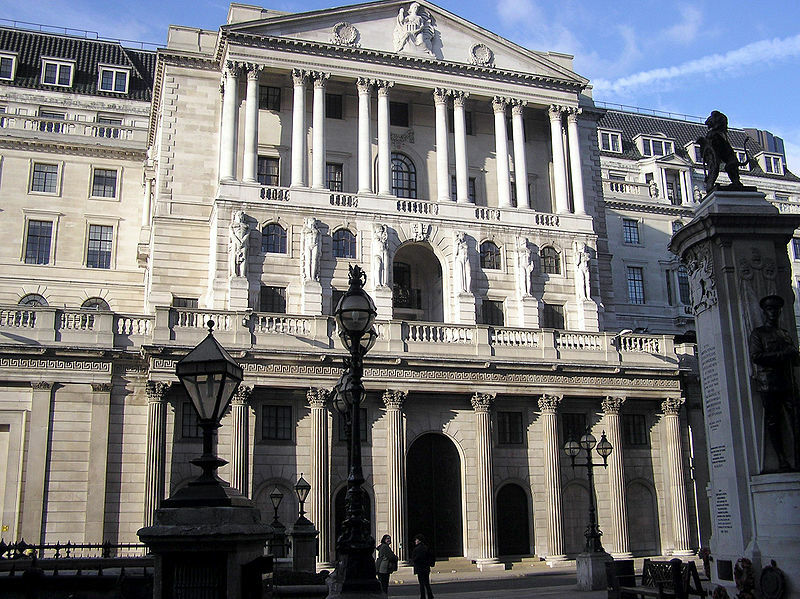 Today's announcement by the Bank of England Governor Mervyn King that there will be no growth in the UK economy this year appears to be optimistic. In all likelihood, we will see the year ending with a smaller economy than at the outset. Moreover, the economic deterioration will be compounded by another likely steep increase in population, placing increased strain upon our housing stock, infrastructure and social services. The Government and the Opposition are failing the country badly, for both offer us the prospect only of continuing economic decline conjoined with falling living conditions, increasing social fragmentation and polarisation. 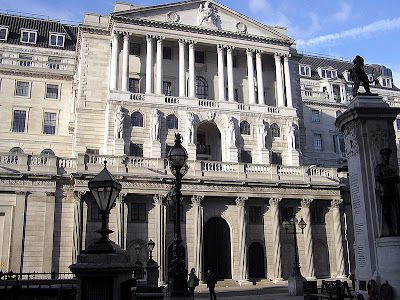 For successive years, the Bank of England has predicted that we run not the risk of inflation, but of deflation, and once again today we see King predicting that inflation will fall below the 2% target by the end of 2012. We have heard this said many times previously, only to see inflation roar away well in excess of this level. Although the general crisis within the global economy appears to militate against a surge in inflation in the near term, other geopolitical events, particularly the crisis in the Middle East, could threaten to increase global oil prices which would have a significant impact on our rate of inflation. The thorny issue of Iran’s nuclear programme and hawkish rhetoric concerning a potential pre-emptive strike by Israel could lead to the disruption of shipping through the Gulf of Hormuz causing a surge in the oil price. Moreover, it also remains to be seen how Iran’s desire to entangle itself in Syria’s intensifying civil war will manifest itself, and whether this might precipitate a wider clash within the Middle East involving Israel and possibly a number of NATO states. Either scenario would be likely to lead to a surge in oil prices, irrespective of the state of the global market. Contrary to its assertions, Labour has no solution to this crisis. Its prescription for “growth”, involving as it does boosting spending on imported products, would serve only to exacerbate our balance of payments deficit, and to reinforce the lopsided structure of our economy. It is hardly as if Ed Balls had nothing to do with the economic policy of the last Labour administration and the woes that ensued therefrom, that with its twin addiction to debt and globalisation has undermined the foundations of our economy. There is no pain free way out of this economic crisis, and it is going to take many years to reinvigorate manufacturing, and to develop the productive potential of new technologies to generate the wealth required for the long-term funding of our social services. The process of globalisation and its attendant ideology of globalism have assisted in the generation and entrenchment of this economic crisis, and if it is to be overcome effectively at the national level, then both must be ditched as a matter of policy. Investment, instead of chasing quick wins abroad, must be directed towards our own key industrial, research and development and infrastructure projects. These vital sectors will provide us with the basis of a sound and sustainable economy, allowing pensioners to feel secure in the knowledge that their funds will be invested in undertakings directed towards the long-term, yielding wealth, jobs and a future for all of our people. This manner of investment, rather than the solicitation of Arab petrodollars or the savings of Chinese workers, is what is required to restore genuine national self-determination. Our economic policy should not be geared towards the short-termism of the electoral cycle, but should instead be devised with the next 50 to 100 years in mind. We need to think and act on behalf not only of existing generations, but also of those to come, and to develop policies in accordance with this principle. Sustainable employment, prosperity and well-being can only be secured in a country that is not groaning beneath the weight of excess numbers, and it will be incumbent upon any rational government, to ensure that a demographic policy is devised and implemented to bring about a better balance between land and people. Do not of course expect such considerations to weigh in the decision-making processes of the existing large parties, for they find such reasoning anathema. It will be our task, to make this reasoning mainstream, and to ensure that it finds expression in concrete policy. Interest rates may remain low for many years, as the example of Japan testifies, but whatever level they are set at, we will have no worthy economic future if our country does not adopt a radical new course in economic policy.